Spring clean-ups have begun! 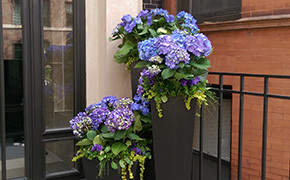 Early spring annual installations begin the week of April 11th. Interested in either service? Give us a call. Summer annual installations begin after May 15 - our frost date. Have you signed your summer annual contract yet? Don't delay, our schedule is filling up quickly. Better Homes & Gardens April 2016 issue highlights Topiarius' roof top gardens. Look here! Most of us know the importance of curb appeal when we are looking to sell our homes, but why wait to fix up your front for someone else? 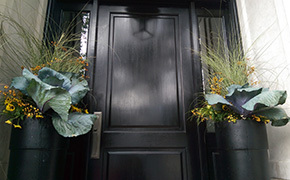 Here are 5 design tips to help you create an entrance to remember. For more pictures and information follow our HASHTAG . . . #ExposeYourFlare.